"95 Percent Group is a jewel in the world of literacy assessment, intervention, and instruction!" "I just wanted to let you know how impressed I am with the multisyllable strategy. I am a Title 1 reading teacher and used this strategy for the first time this year with my second graders through fifth graders. This strategy just makes sense." 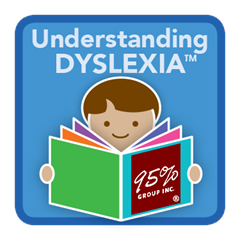 "In the past, we had very few strategies for what to do next for students low on DIBELS. Now we have a reliable tool box!" "The screeners are teacher-friendly, easy to give, and even more important, easy to interpret! Our teachers believe this form of ongoing progress monitoring truly gives them an accurate look at each child’s ability." "These products make my job as a Reading Specialist so much easier because I'm able to spend that extra time working with kids and not making materials." 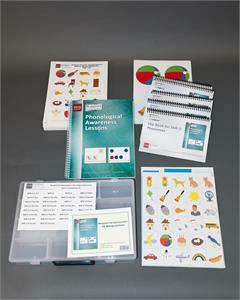 The Deluxe PA Package includes everything that's needed to teach Phonological Awareness Lessons to an intervention group. The Book Study Bundle includes a Facilitator's Guide and 10 Reader's Guides to collaborate and create a site-based MTSS Action Plan with your staff. Receive a complimentary bundle when you order 10 copies of 10 Success Factors for Literacy Intervention. To get 95 percent of students reading at grade level. It’s that simple and that important to our company. Our processes are proven. Our approaches are unique. We are focused on reading improvement in pre-K through Grade 12 students. We achieve this through our dedicated and customized approach. We offer comprehensive education consulting, diagnostic assessments, and instructional materials designed to drive intervention and increase student achievement.